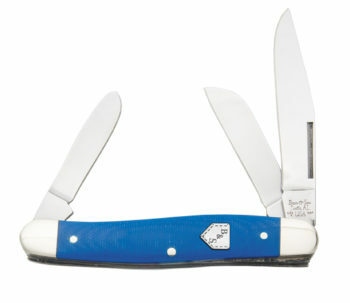 Reflecting this American tradition, these knives are comfortable to carry in your pocket and durable for long-life reliability. 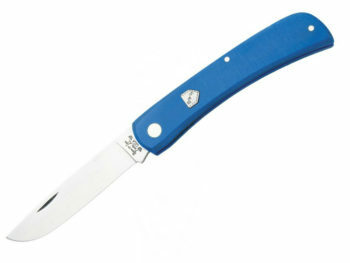 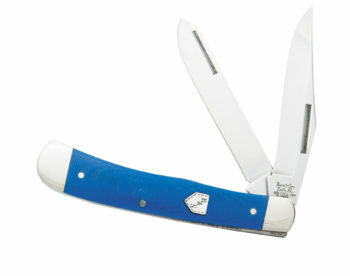 To visually fit their name, all ten have rugged blue G10 handles, with an embedded back pocket shield etched with B&S. 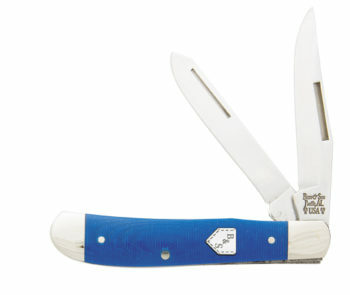 There also is a Bear & Son tang stamp, for assurance these knives are made in America.The highly polished blades are made of high carbon stainless steel. 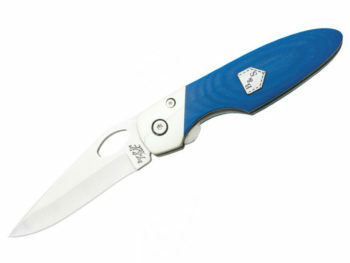 All are folders, with lockback safety.